here are the build docs for the clk dv, so far theres no description to go along yet. but theres step by step pics of how to assemble one. the 4040 ic must be the type that can run on up to 15V. the resistors marked: 1k/2, 1k/4, etc. correspond to values that can be changed according to the led color you’re using. i use 1k for red/yellow and 2k for green. 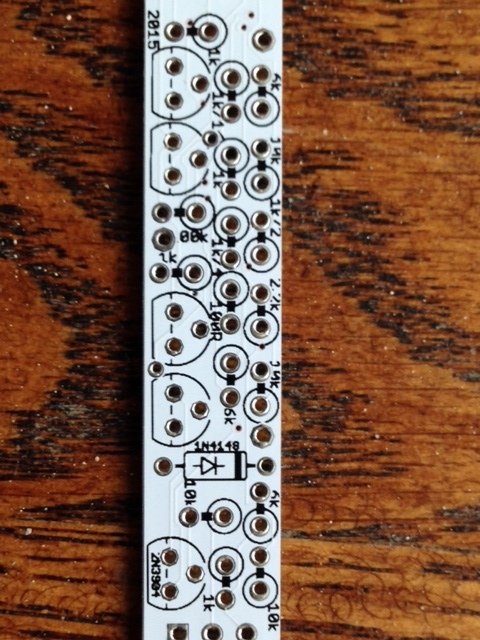 the various “led pads” listed in the BOM relate to 1 pin male jumpers for connecting the top and bottom boards. male and female headers may be used to connect the boards as well. but its tons of fun cutting 1 pin female headers…. some screen prints for the recent batch of clk dvs turned out to be slightly off and not the most legible. 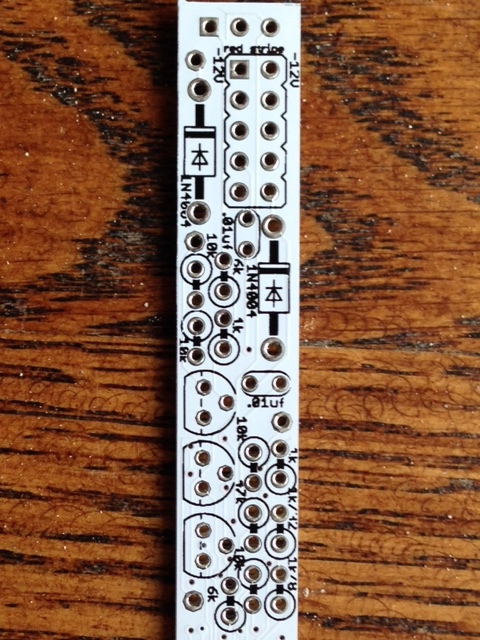 heres pics of the first batch with a better print… the only thing cut off on this board is the 1 on the only 100k resistor on the right pic. click to enlarge….